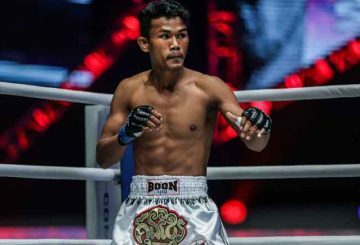 Cambodian Top Team (CTT) talent Rin Saroth promises to take charge against Myanmar’s Tial Thang in their Mixed Martial Arts bout at ONE: Reign of Valor in Yangon, Myanmar tonight. 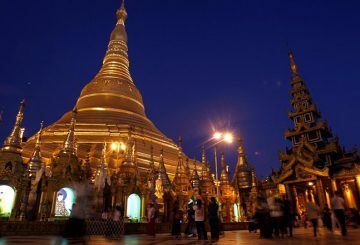 Yangon received more than 1 million tourists as of November from January this year. 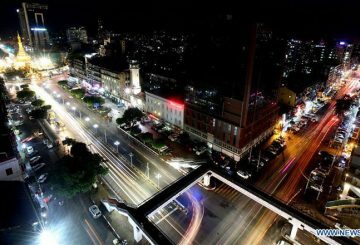 Myanmar to implement an elevated expressway at the inner ring road of Yangon. 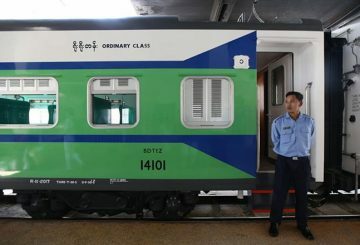 Myanmar has launched the first phase of Yangon-Mandalay railroad. 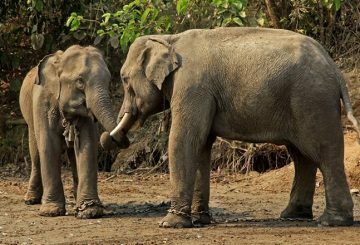 Myanmar is holding a wildlife festival “Voices for Wildlife”, starting today. 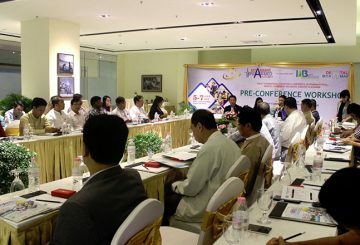 Myanmar will hold its 6th Phar-Med expo in Yangon in December. 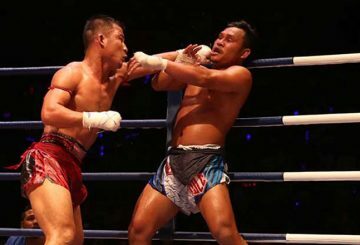 The event, held in Yangon saw Cambodian Top Team lightweight Pich Mtes Khmang register a victory against Mite Yine. 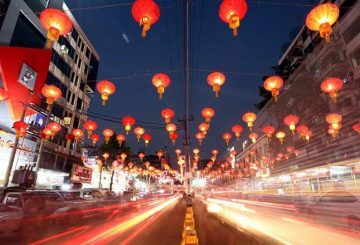 Myanmar to renovate the well-known Chinatown which lies west of Sule-Pagoda. 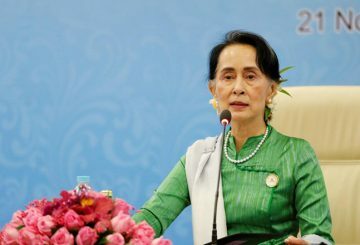 The two-day Second Nationwide Congress of Myanmar’s ruling party conclude. 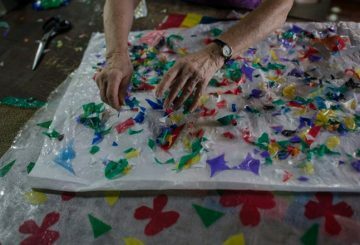 Myanmar-based social enterprise “Chu Chu” lets little go to waste as its staff turn discarded clothes into handy accessories. 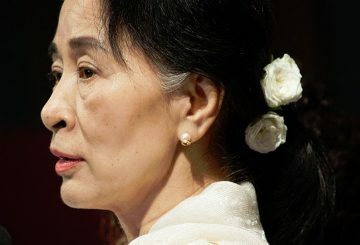 Anti-war protesters in Myanmar urge Suu Kyi to take action against police. 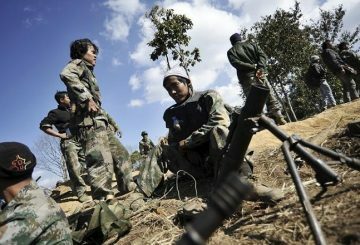 Thousands of people rally in Myanmar’s war-torn Kachin State. Boeung Ket were 4-1 victors as they travelled to Myanmar on Wednesday, claiming a win over Shan United. 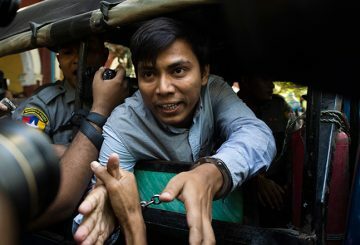 A judge in Myanmar will rule next week on whether a police captain was credible. 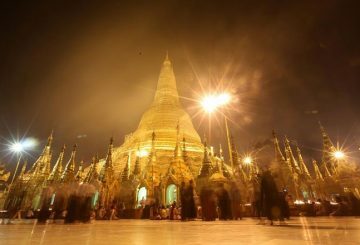 Leeds United will play two friendlies in Myanmar next month where the Championship side looks to build a fanbase. 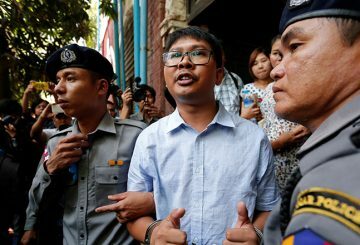 A judge yesterday rejected a request for dismissal of a case against two Reuters reporters jailed in Myanmar. 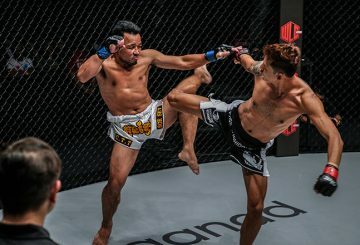 Cambodian Top Team Mixed Martial Artist Sor Sey lasted little more than two minutes into his return to the MMA cage. 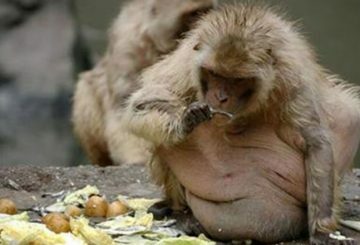 A bomb explosion in Myanmar’s northeastern city of Lashio killed two. 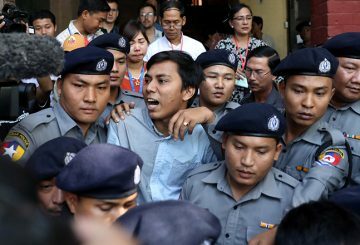 A Myanmar police officer had burned the notes he made in Yangon. 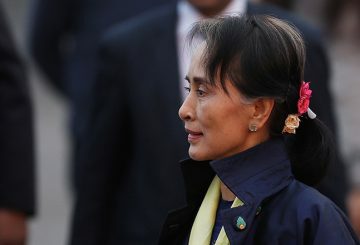 A man threw a petrol bomb at the Yangon compound of Myanmar’s leader Aung San Suu Kyi yesterday, officials said. 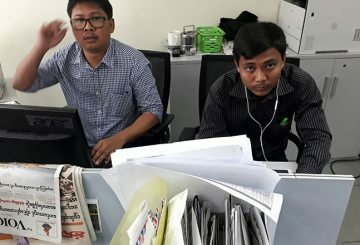 Myanmar’s panel of international advisers on Rohingya issues will not get involved in the case of two Reuters journalists. US diplomat Bill Richardson resigns from an international panel set up by Myanmar to advise on the Rohingya crisis. 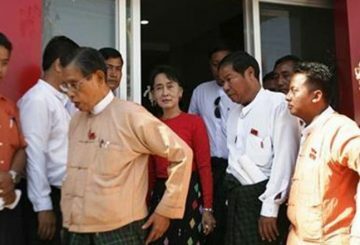 Myanmar police shot dead seven demonstrators, while 12 were injured in troubled Rakhine State. 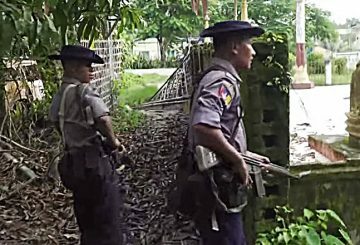 Rohingya insurgents say 10 “innocent civilians” Rohingya found in a mass grave. 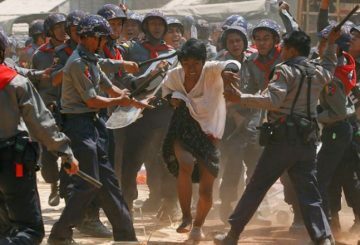 Myanmar’s military says it had murdered ten captured Muslim “terrorists”. 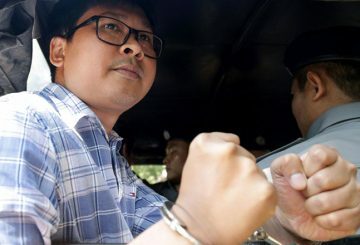 Myanmar prosecutors charge two Reuters reporters under the Official Secrets Act. 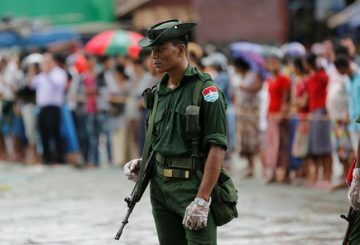 Rohingya Muslim insurgents say they have no option but to fight to defend the Rohingya. 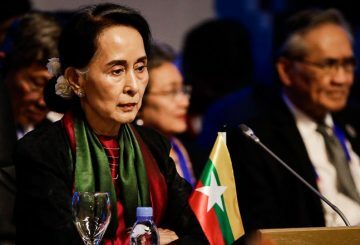 Myanmar’s civilian president calls for reform of a military-drafted constitution. 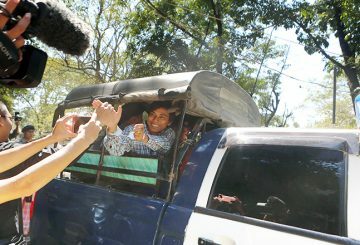 The two journalists detained in Myanmar are remanded for a further two weeks.